Grandmas EGG NOG : A traditional pre-dinner tipple which will make you feel mellow and chilled out during the golden autumn or One of those chilly winter evenings in Spain. 1. Place the milk, eggs, sugar and vanilla pod in a medium pan and heat gently, without boiling, until the mixture thickens enough to coat the back of a spoon. 2. Add the brandy to the egg nog mixture and divide between the glasses and serve, dusted with the cocoa powder3. 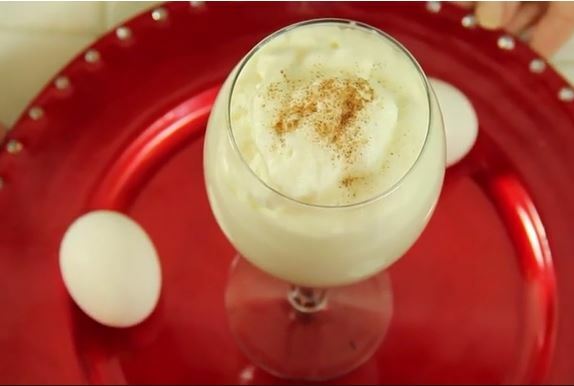 The egg nog can be served warmed or chilled and served later. Try it both ways and see which you prefer ! How to make Coquito Recipe – Puerto Rican Spanish Eggnog Grandma’s EGG NOG. This is an easy version of Coquito. It’s the way I make it and everyone loves it. 1 can of Cream of coconut. 1/2 can of sweetened condensed milk. 1/2 shot of cinnamon water. 1-2 cups of Rum… depending on how strong you want it. (to measure the amount of rum I just use an empty can of cream of coconut and fill it to the rim). Start by boiling 1 cup of water with the 5-6 cinnamon sticks for 5-10 minutes and let cool. While that’s boiling go ahead and start mixing the coquito in the blender. Start by adding 1 can of cream of coconut, 1/2 can of condensed milk, 1 egg yolk, 1 tsp of vanilla, when the cinnamon water has cooled down add 1/2 shot of the cinnamon water, fill 1 empty can of the cream of coconut with white rum and pour it in the blender. Mix well for about 5-10 minutes, taste it and if it’s good, leave as is, if not then add more rum…. Let chill for a few hours or a day. serve cold!! 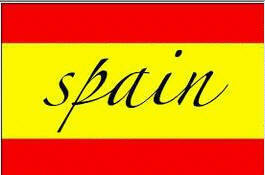 Spain Info Grandmas EGG NOG San Francisco De Asis, Urb Marina, San Fulgencio, 03177, Alicante, Spain.